I have to admit that over the years that I've been bullet journaling, I've tried a few different monthly spread layouts, but I seem to navigate towards a certain way of setting up my monthly log. 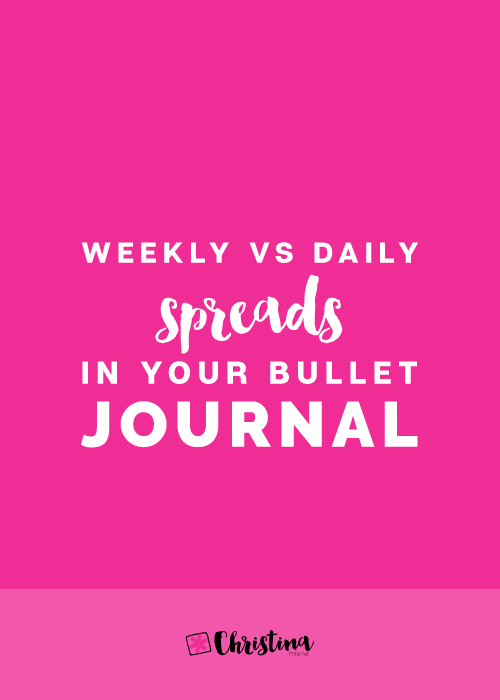 However, there are so many different ways to create your monthly spread! 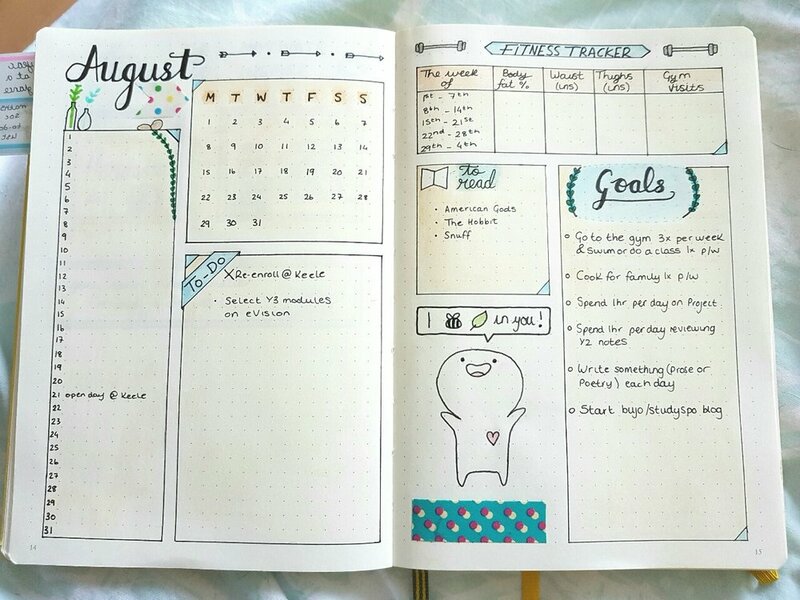 So, today I thought of sharing with you some amazing monthly log layouts that I found, and some that I made myself, in order to get you inspired. Let's get started! 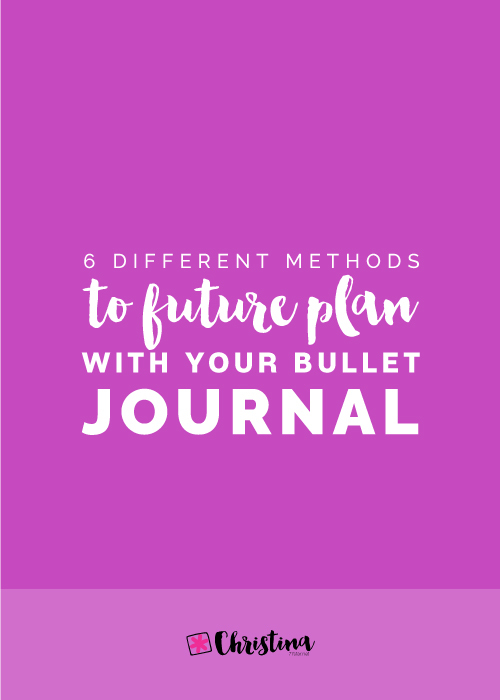 You can create your monthly log in one page, like Julia has. 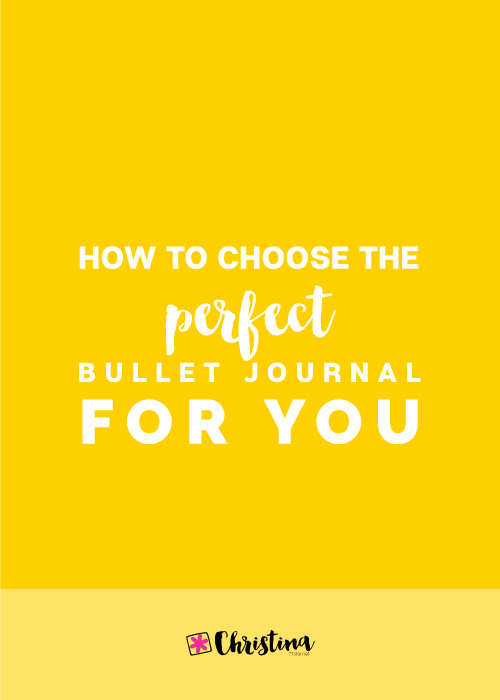 Or you can create a two-page spread like the one Aimi has created in her bullet journal. You can choose to connect the squares, so that you have more space to write, or you can leave a gap in between them. I love how Eve has chosen to create her monthly log with vertical columns. 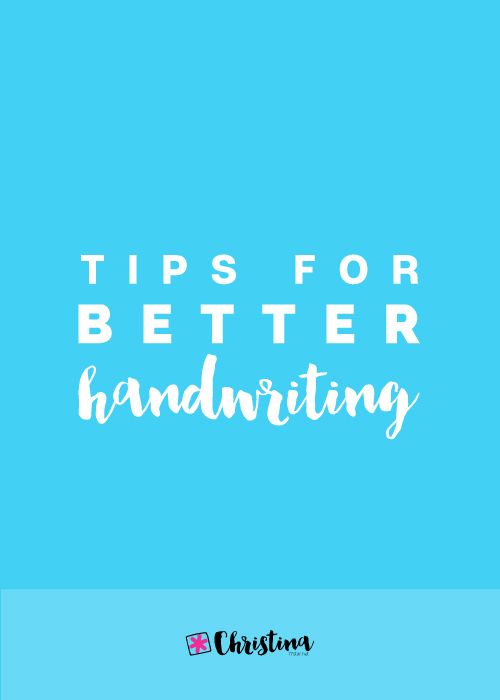 If you still prefer to have a one-page monthly log, but you want more space to write, simply turn it and create it sideways on the page. That way you have the next page empty to add all your tracker, goals and to-do lists. And of course there is the option of no boxes at all! The way Kit does it, by drawing only the vertical lines. Moving on, we go to another layout for your monthly spread, that seems to be quite popular lately. You simply write the days and dates of the month in two parallel lines. And then you just add the events to each day. That can be done horizontally, like you can see in the picture above. Or it can be done vertically. I like how Roberta below, adds lines with her highlighters to denote the weekends in her planner. If you want you can add a vertical line in the middle of the page to add events for two different categories. Haley below separated her monthly planning in work and personal events. Kay has gotten really creative and added two different columns in the middle of the page with the dates of the month. You can even go ahead and add three columns so that you can add events for 3 different categories, if you wish. 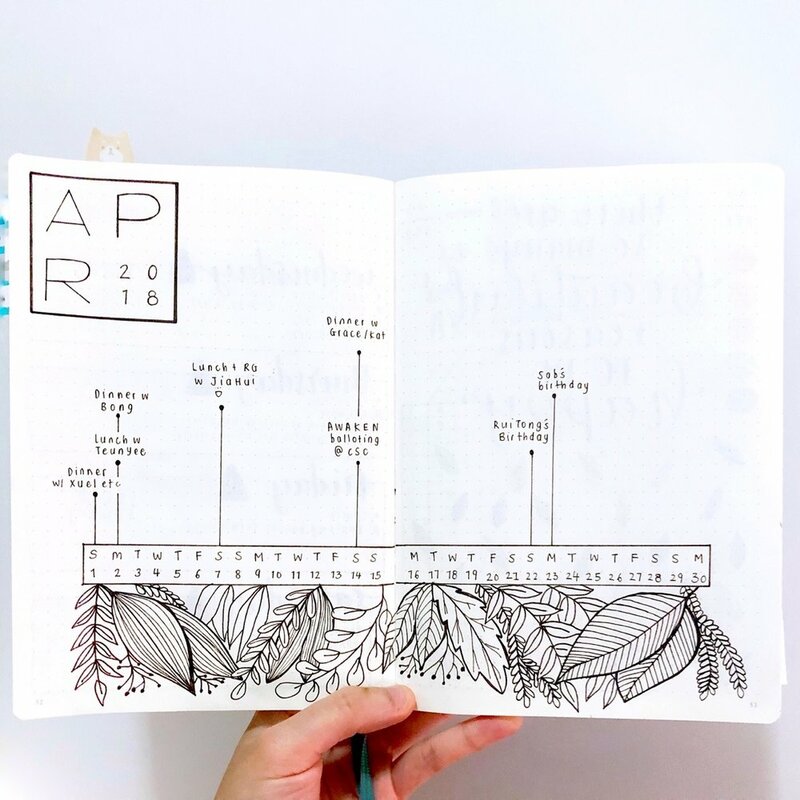 One of my favourite monthly spreads is the one that Amanda created above, where she has two different types of monthly planning on one spread! Genius! Moving on to the monthly spread done in a circle. 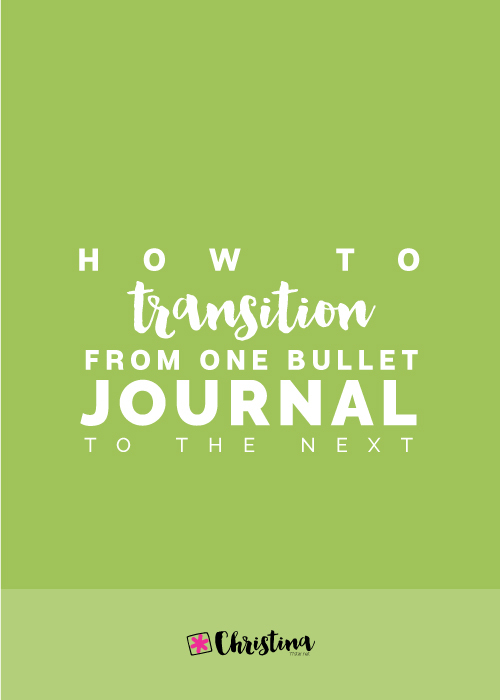 That is a very cute and creative way to add your monthly log in your journal. And you can keep it as minimal or as creative as you want. 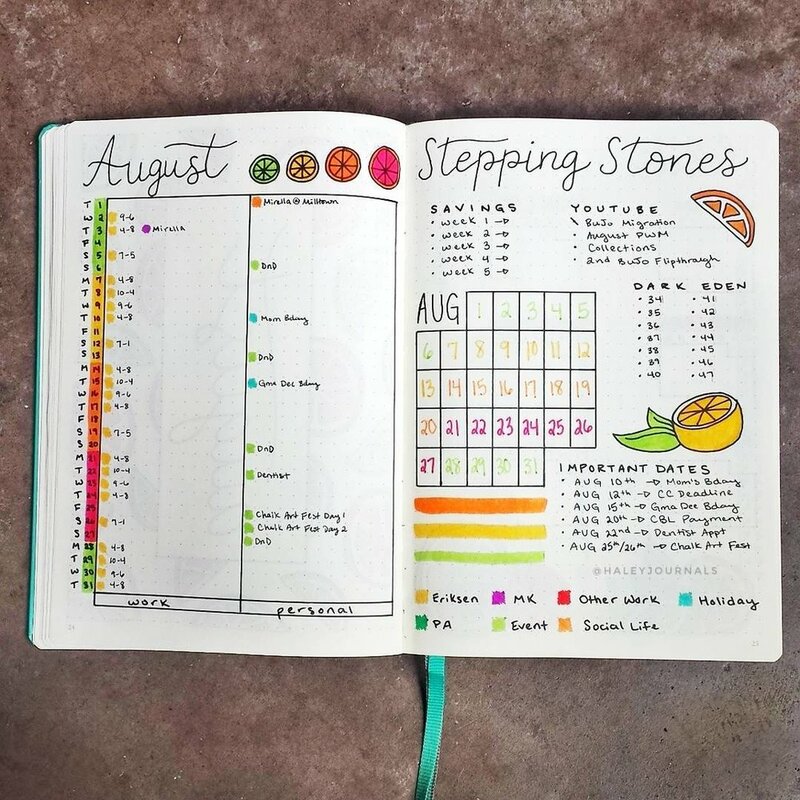 And of course you can take things to the next level and a completely unique layout for your monthly log. Like Marie has done in the picture above, where she has turned her monthly spread into a board game! I love it! Lastly, but not least there are the monthly spreads where apart from your events list, you also add all the things you want to track, your goals, the books you want to read etc. and you create a very personalised spread for you. So these were 7 different layouts and 20 amazing monthly spreads for you to get inspired. Have you tried any of the above layouts? What is your favourite one?